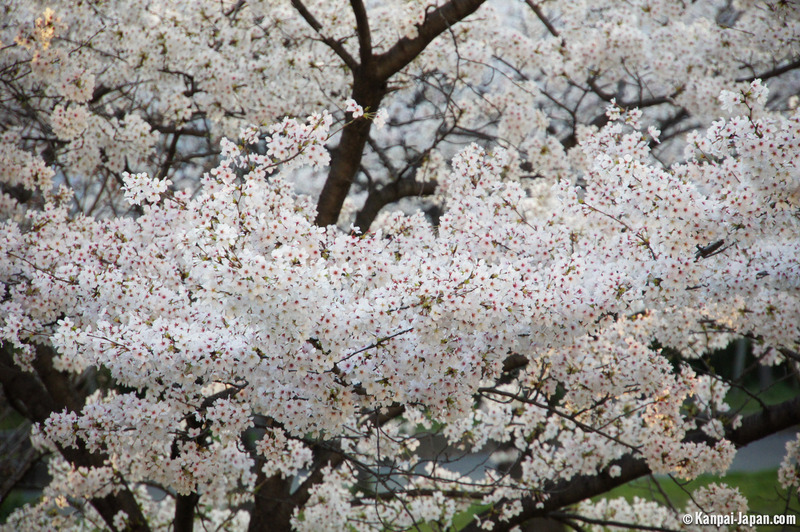 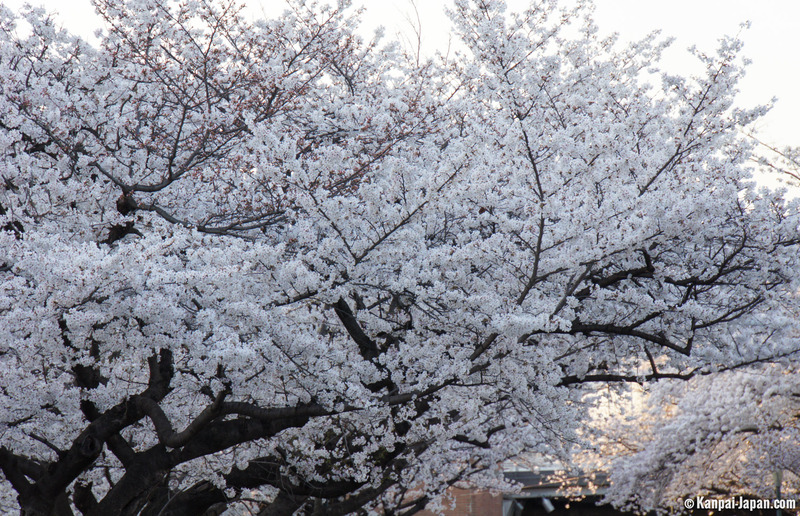 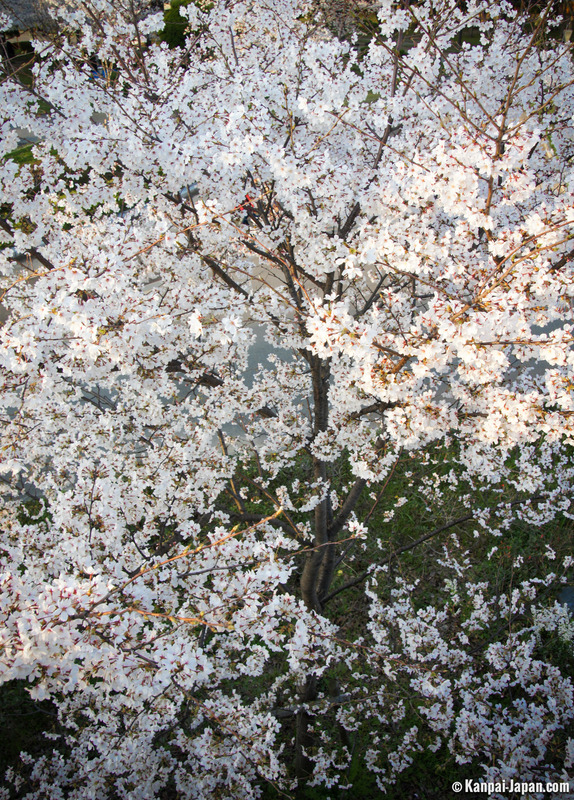 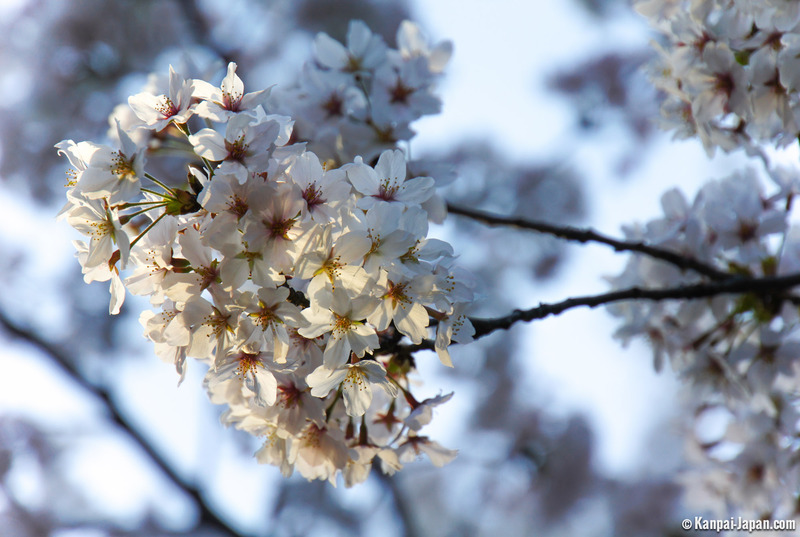 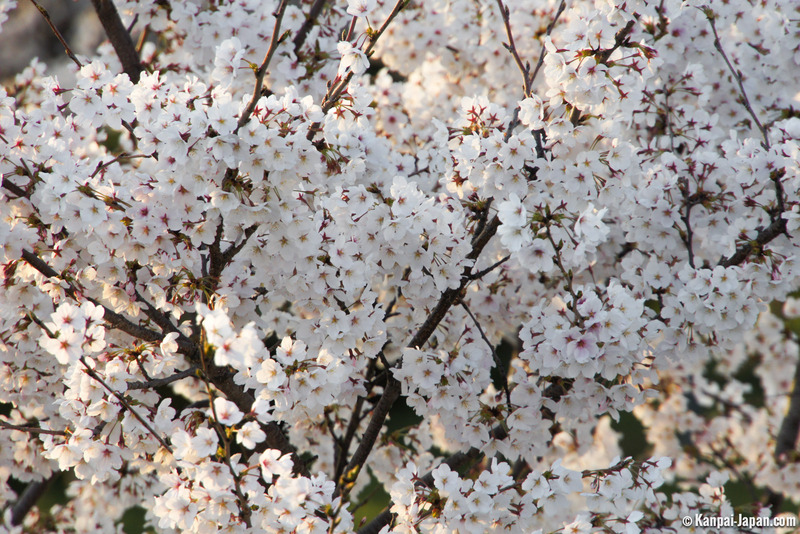 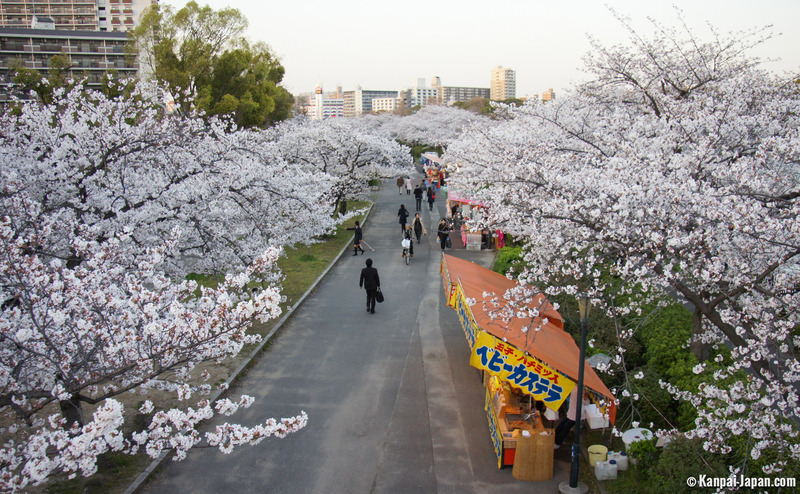 When thinking about cherry blossoms in Japan, Osaka is rarely the first city which comes to mind. 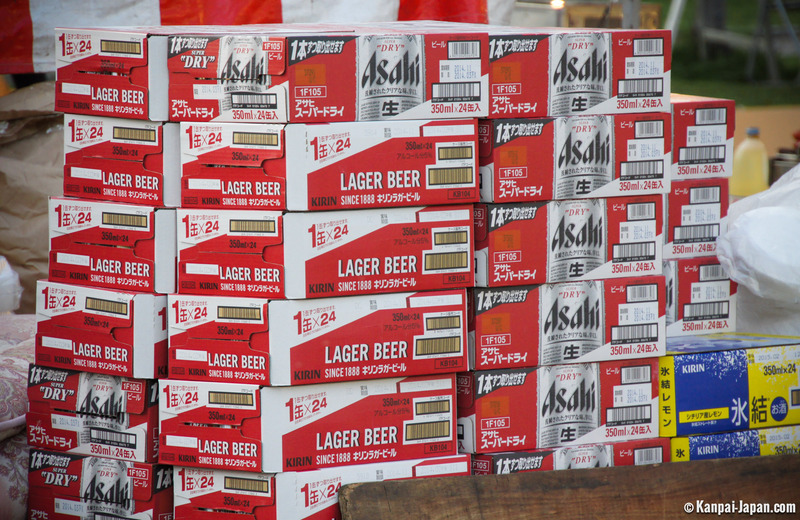 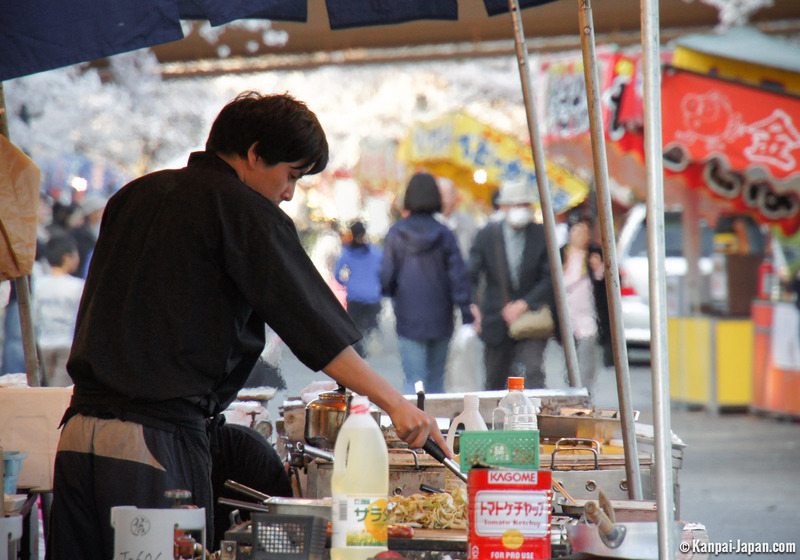 Very urban, the economic capital of Kansai suffers the traditional reputation of its neighbor Kyoto. 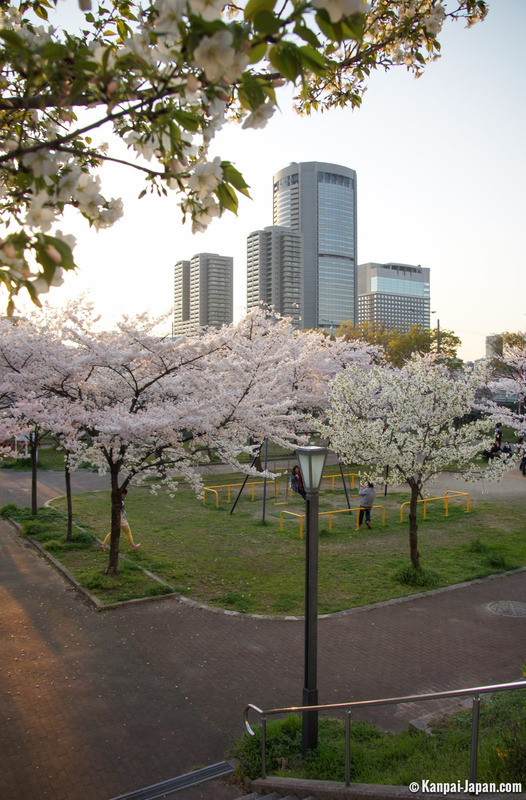 Yet, beyond the castle, Osaka still hides some beautiful spots to admire sakura trees. 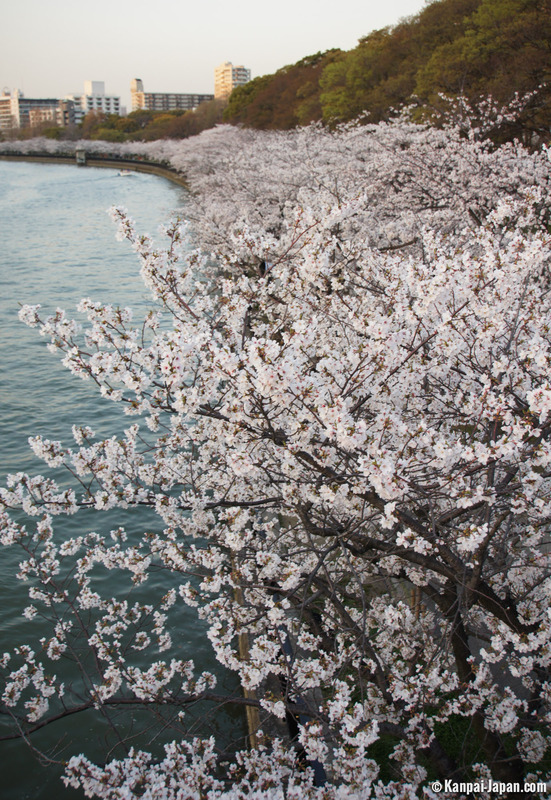 The banks of Okawa River are certainly a part of it. 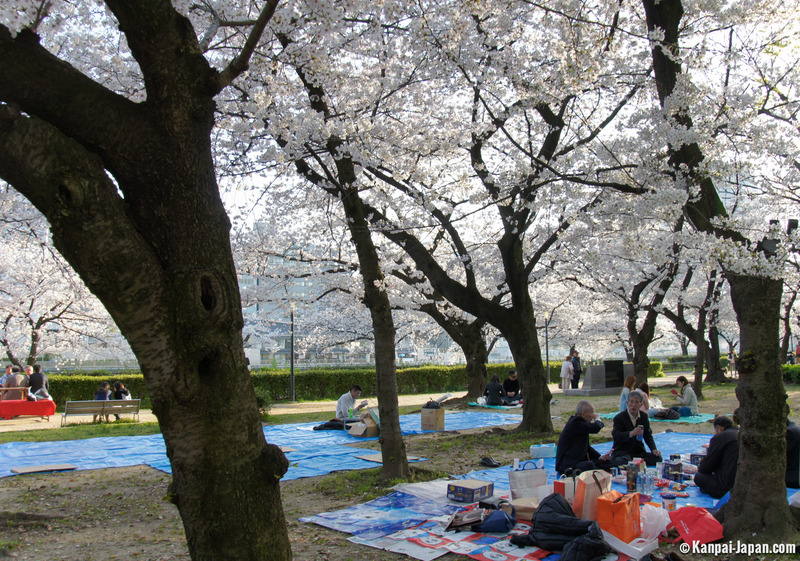 Looking more closely, our visit is just a few hundred yards from Osaka Castle. 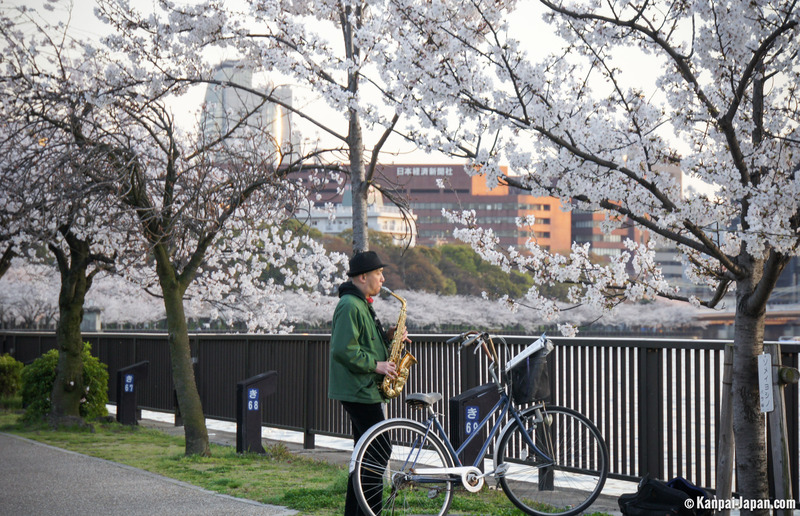 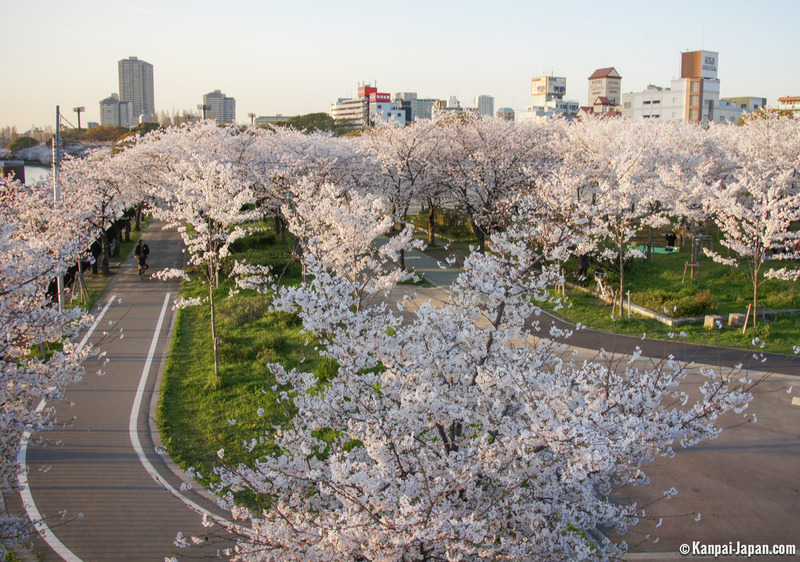 The walk stretches on 32.3 hectares around 4,700 sakura, on both sides of the river, particularly in Minami-Tenma park, but also facing 造幣局 the Mint Bureau, and of course with the long Kema-Sakuranomiya park. 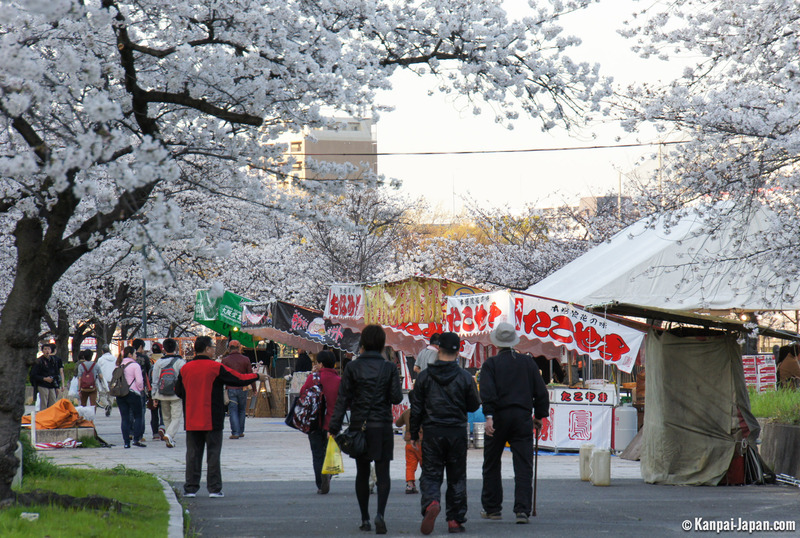 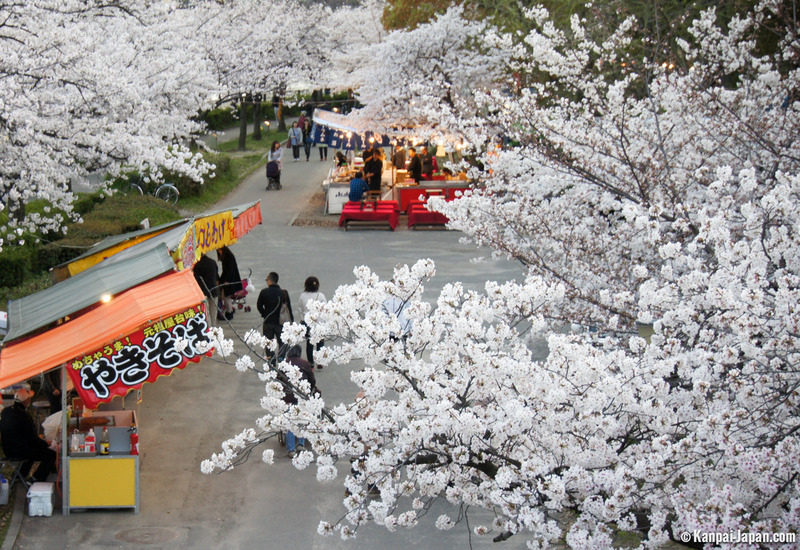 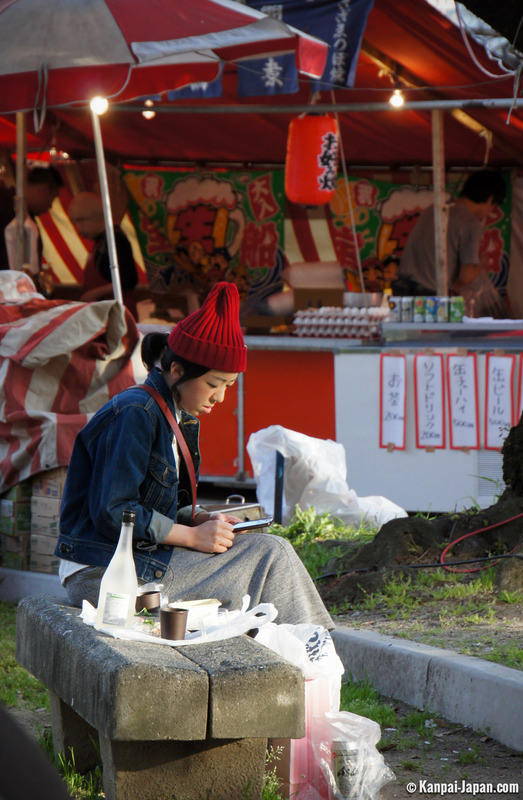 Ephemeral food stands settle all along the river at the beginning of spring. 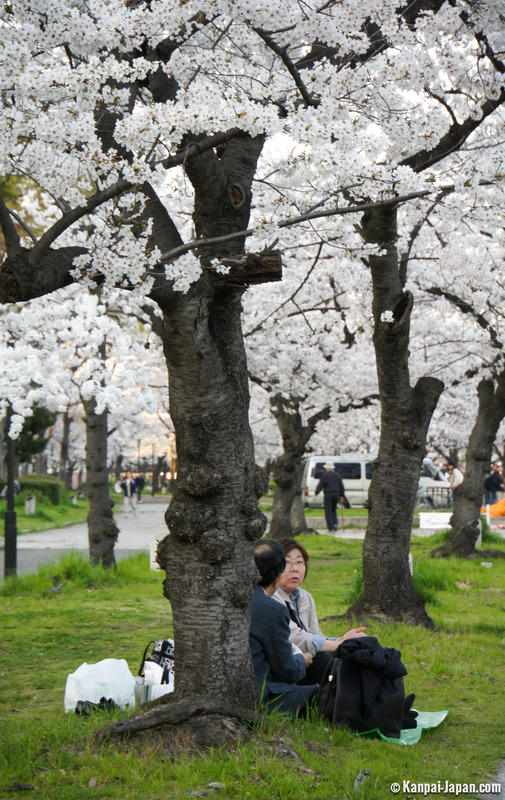 The locals come here to walk during cherry blossom season (the first days of April) and contemplate sakura. 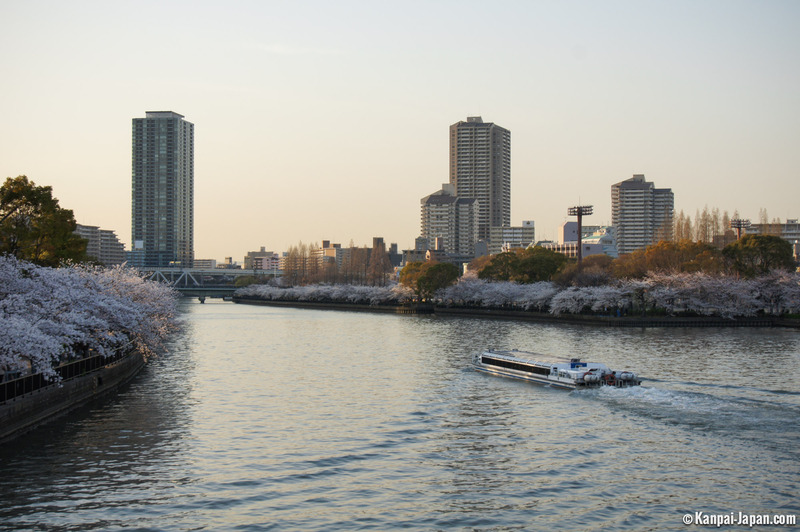 Boats sailing on Okawa enjoy the view on each side. 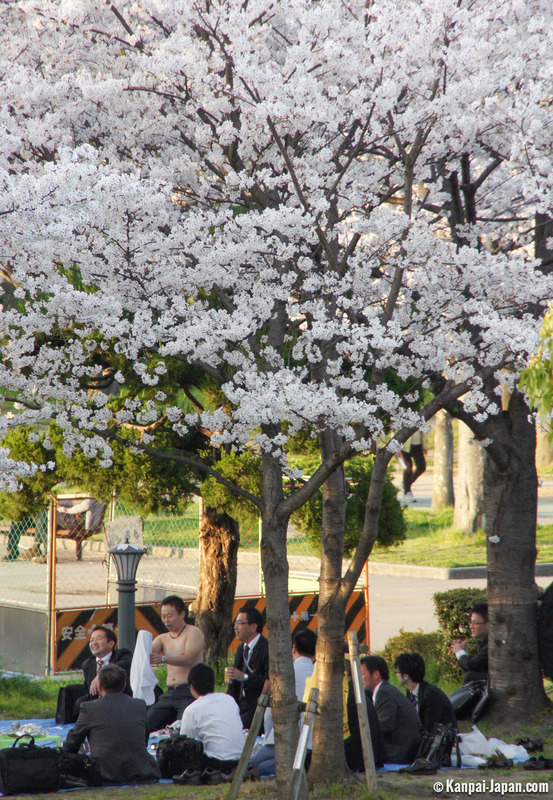 Passers stop on the bridges to get a new perspective on the flowers. 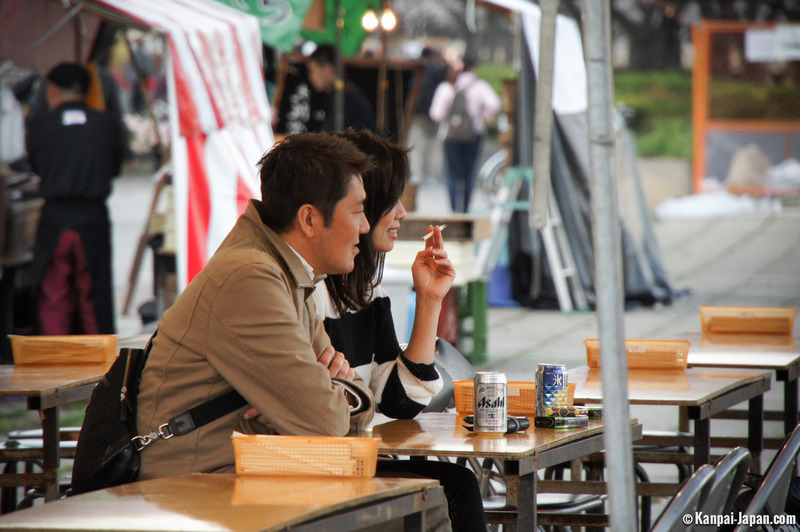 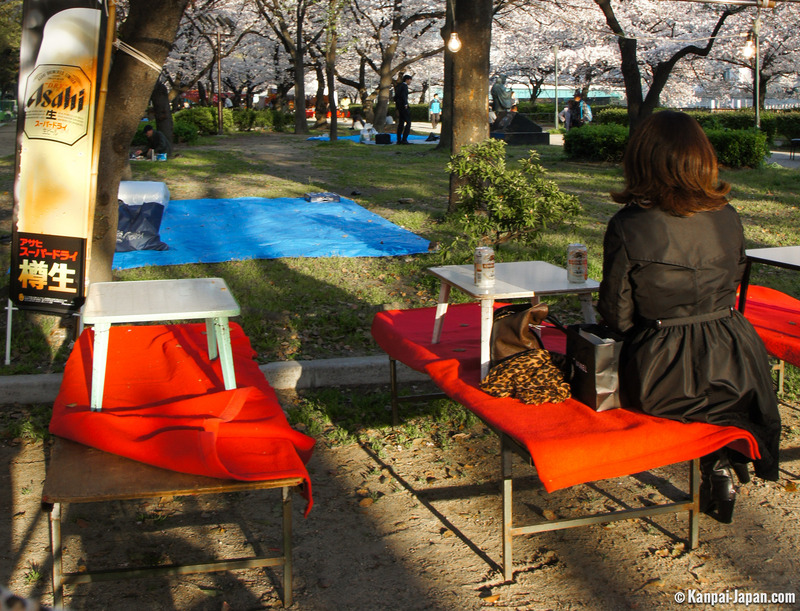 On evenings and weekends, students and workers come with friends or colleagues for a drink under the trees. 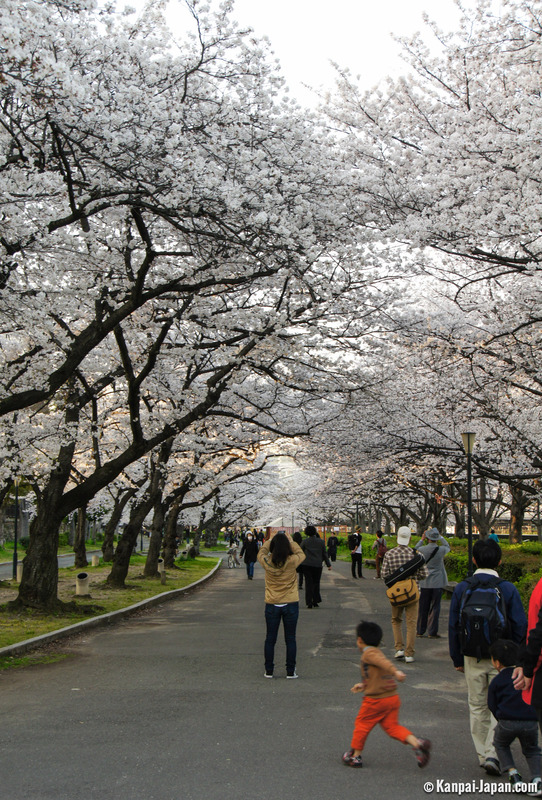 Unquestionably, Kema Sakuranomiya is unavoidable in a trip to Kansai under the sign of cherry blossoms, and without doubt the most beautiful place in Osaka to admire its sakura.